Kirbie Goes to Hollywood: Don't look up this movie. Don't look up this movie. This is not reverse psychology. 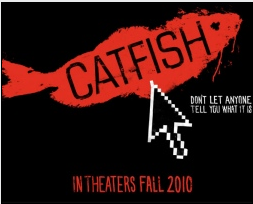 DO NOT look up anything about the movie Catfish. I'm serious. If you saw Charlie St. Cloud this week, you would have probably seen the trailer for this film, which was a huge hit at Sundance. After viewing it, it was all I could think about during the movie (maybe that's because the film was a complete snoozefest). When I got home, I immediately went into research mode so I could find out anything and everything about the movie, but thankfully stumbled upon this review and decided against any further investigation. Needless to say, I'm really excited about the film, which is supposed to give a social commentary on networking sites and how they affect our relationships.